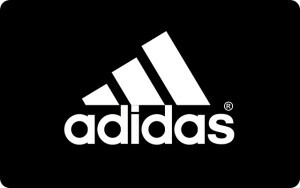 You can use your adidas Gift Card at our Online Shop or at one of our retail stores. You can only redeem the Gift Card in the same country where it was purchased. If you cancel your order within 30 minutes, the amount on the Gift Card gets reset, amounting to the same value before the order. This means the same Gift Card can be used for the next purchase. After the aforementioned 30 minutes, if you have only paid with a Gift Card and the order is partially or fully canceled or returned, you will receive a new Gift Card topped up with the corresponding amount via email. You cannot redeem your Digital Gift Card in the adidas app. You can only use a max of 10 gift cards per transaction. To use your Gift Card online: Add at least one item to your Shopping Bag and proceed to check out. Enter your delivery details and proceed to selecting your payment method. Select ‘Gift Card’ as your payment method. You need to enter: 19-digit gift card number (for physical gift cards, this can be found on the back of your card) 4-digit security code (for physical gift cards, this can be found on the back of your card) Possibly an additional payment method (only if the total purchase amount exceeds the balance on your card). Click the ‘Order now’ button to place your order.